Are you or do you know Suzanne Collins? 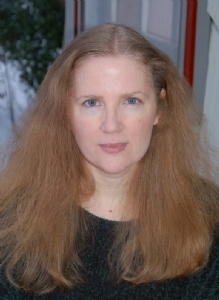 Suzanne Collins is a published author of children's books and young adult books. Some of the published credits of Suzanne Collins include The Underland Chronicles Book Five: Gregor and the Code of Claw (Underland Chronicles), Hunger Games - Audio, The Underland Chronicles Book Four: Gregor and the Marks of Secret (Underland Chrn). Since 1991, Suzanne Collins has been busy writing for children’s television. She has worked on the staffs of several Nickelodeon shows, including the Emmy-nominated hit Clarissa Explains it All and The Mystery Files of Shelby Woo. For preschool viewers, she penned multiple stories for the Emmy-nominated Little Bear and Oswald. She also co-wrote the critically acclaimed Rankin/​Bass Christmas special, Santa, Baby! Most recently she was the Head Writer for Scholastic Entertainment’s Clifford’s Puppy Days. To edit or update the above biography on Suzanne Collins, please Log In or Register. Does anyone know a way to contact Suzanne Collins? A publisher's address? Anything.